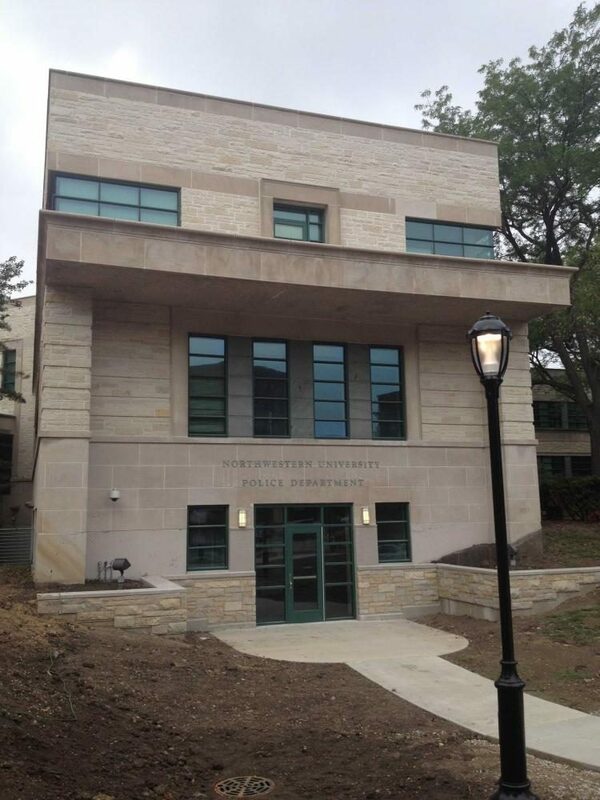 University Police's headquarters on Davis Street. Some police officers took a class this week on bicycle policing. University Police conducted another bicycle training course for eight officers this past week in hopes of increasing the unit’s mobility and sustainability. Four UP officers, as well as four from the University of Illinois at Chicago, completed the four-day training course, said Gloria Graham, UP’s deputy chief of police. Participants are selected on a volunteer basis, and Graham said Northwestern will be holding more training sessions in the coming years. The officers are trained in bike safety and maintenance, as well as how to ride on different terrains and in crowds. The bikes can also be used during pursuits, so officers are trained to ride them up and down stairs. At the conclusion of the training course, officers are certified with the International Police Mountain Bike Association. David Smith, a lieutenant with the Indiana State University Police Department and a bike training instructor, emphasized the versatility of bicycles and their ability to aid in crowd control and foot pursuit. Smith has been training officers with bicycles since 2003, and he said they are especially well-suited to campus settings, where mobility is crucial. Erica Honeywood-Burrell, who has been a UP officer for a year, said she wanted to learn something new this summer and saw bike training as an alternative from her normal patrol duties. Drew Stephans, a police officer at UIC, said the training course was his first time using a bike for work. He said the UIC campus and Northwestern’s are fairly similar and are policed in similar ways. Graham said the community response to bike patrol has been positive, and people have told her the officers on bicycles are more approachable and less distanced from the public. In addition, she said bicycle patrol contributes to UP’s sustainability efforts, as well as the health and fitness of the officers themselves.